This pretty and petite young lady is Shadow. This pretty and petite young lady is Shadow. She is black with some white along with a very distinctive white marking on her nose. Shadow is only two years old. 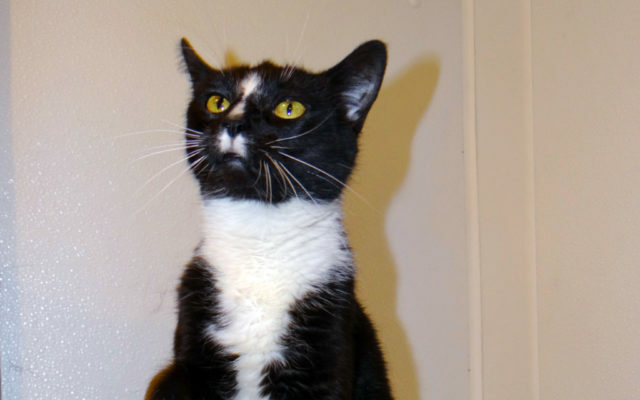 She gets along well with other cats and is playful and friendly. She is in excellent health, has been spayed and is up to date on her vaccinations. She enjoys her days at PAWS but would love to have a home of her own. To see her, visit Valley Cat Haven during open hours Saturday from 11 a.m. to 1 p.m., Tuesday from 1 p.m. to 3 p.m. or call Jean at (207) 543-7348 for an appointment.